BMW has big plans for electrification. By 2025, the Bavarian automaker intends to sell 12 fully electric models. But before then, 12 electrified models will be available by the end of 2019, including the fully electric i3 and the upcoming electric Mini, as well as the hybrid i8 Coupe and i8 Roadster. At the Geneva Motor Show, BMW has introduced new plug-in hybrid variants of the popular X3 and X5 SUVs, as well as the new 3 Series and 7 Series. This means the X3 is now the first BMW model to be offered as both a conventional combustion engine and a plug-in hybrid, with a fully electric X3 also coming in 2020. Having a wider selection of powertrains available should help broaden the model’s appeal. Due to start in production in December 2019, the X3 xDrive30e combines a four-cylinder turbocharged gasoline engine with an electric motor delivering an output of 252 hp, which can be increased by up to 41 hp by temporary use of the electric motor’s peak output. Power is sent through an eight-speed to all four wheels, enabling the X3 xDrive30e to accelerate from 0-62 mph in around 6.5 seconds. A lithium-ion battery is positioned under the rear seat, resulting in a luggage volume of 450 liters to match the capacity of the combustion model. 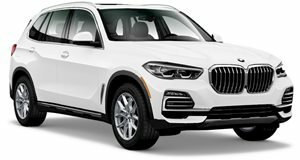 Thanks to the use of the latest battery technology, the X3 xDrive30e achieves an electrically powered range of up to 31 miles, while combined fuel consumption is reduced to up to 2.4 liters per 62 miles. Also debuting at the 2019 Geneva Motor Show is the new BMW 330e plug-in hybrid sedan, which has an increased electrically powered range of up to 37 miles – that’s around 50 percent more than its predecessor. Fuel consumption has been reduced to up to 1.7 liters per 62 miles. The 330e delivers a combined output of 252 hp, which can be temporarily increased by 41 hp using the standard XtraBoost. As a result, the plug-in hybrid BMW 330e can sprint from 0-62 mph in around six seconds. Alongside the 330e, plug-in hybrid versions of the new BMW 7 Series are also making their world debut at Geneva, including the 745e, the long version 745Le, and the 530i xDrive with extended wheelbase and intelligent all-wheel drive, which combine an in-line six-cylinder gasoline engine with an electric motor. In sport mode, the output increases to 394 hp. The new 745e accelerates in 5.2 seconds from 0-62 mph, while the new 745Le takes 5.3 seconds. Meanwhile, the new 745Le xDrive reaches 62 mph from a standstill in 5.1 seconds. The BMW X5 mid-size SUV is also getting the plug-in treatment. 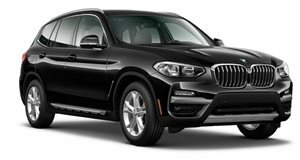 Available from August 2019, the X5 xDrive45e is an in-line six-cylinder gasoline engine combined with an electric motor that delivers an increased output of 394 hp. 0-62 mph takes around 5.6 seconds, while the electric range is now approximately 49 miles - almost three times that of its predecessor. Combined fuel consumption has been reduced to up to 2.1 litres per 62 miles, while the storage volume of 500 to 1 716 liters is only slightly less than the combustion-powered model. 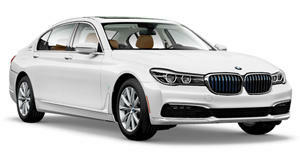 In addition, plug-in hybrid options for the 5 Series and 2 Series have been expanded. The new lithium-ion battery for the 5 Series sedan plug-in hybrid has increased from 9.2 to 12.0 kWh, resulting in an increased electric range of more than 30 percent to 39 miles and a combined fuel consumption of at least 1.7 liters per 62 miles. From July 2019, the all-wheel drive 530e xDrive Sedan will be added to the range, which has an electrically powered range of up to 35 miles. Its combined fuel consumption is at least 1.9 liters. The plug-in hybrid variants of the new BMW 3 Series sedan, X5 and 7 Series also feature a new display and operating system and innovative digital services. As standard, these models include BMW Live Cockpit Professional with newly designed screens in the instrument panel and the Control Display, which provide details of the battery charge state, electrically powered range and operating mode of the plug-in hybrid system. The buttons used to select the drive mode are also now integrated in the drive experience switch unit. New convenient digital services also include a navigation system that shows nearby hotels, restaurants, cafes and sights or cultural facilities when a public charging station is being selected.